One of the great things about Ireland is the cultural and social life that people enjoy. There are so many sports and other community groups with a huge number of volunteer member & participants that there is always something going on, no matter where you happen to be or the time of year. During MBs trip home last week, he attended a ‘Strictly Come Dancing’ fundraising night for the local Ballyneety Golf Club, who are attempting to purchase the club on behalf of the members from the current owners. A number of MBs friends were involved in organising the event. If you don’t know the TV show ‘Strictly Come Dancing’ look it up on Youtube. The night in question did not involve professional dancers, but ordinary members of the local & golf club community, who were willing to practice for some 3 or 4 months before the event with a professional dance choreographer, so they would look half decent on the night. People bought tickets to attend and paid to vote for their favourites, and business groups placed adverts in the Event Programme that was on sale on the night. In all, some 1,000 people attended the event in a Limerick Hotel (the South Court) and the night was a great piece of entertainment and fun. According to MBs sources, some Euro 50,000 was raised. MB captured ‘loadz’ of pics on the night but he has chosen a sequence of three, to meet Ben’s requirement that the post should “capture the rhythm in the movement”. The Challenge this week – to link two photos that ‘speak’ to each other. Tricky! 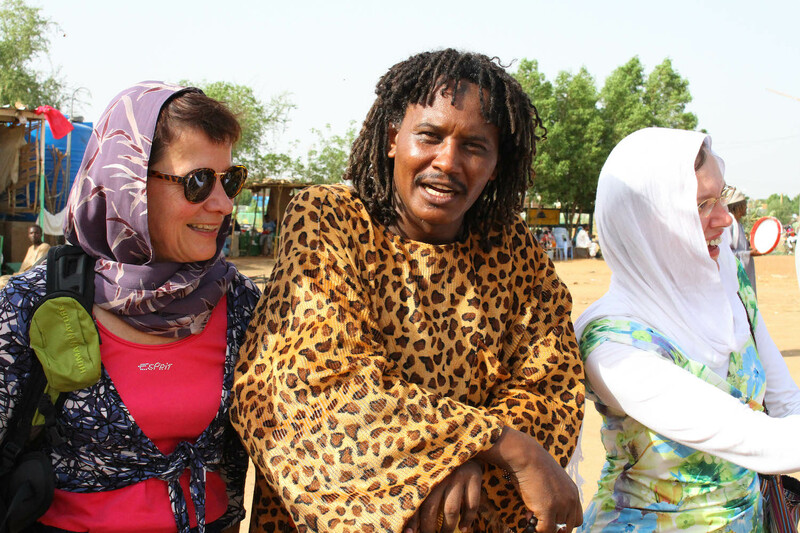 Two Western ladies, wearing fashionable designer labels, meet a dreadlock-haired Sufi Muslim man in Khartoum. 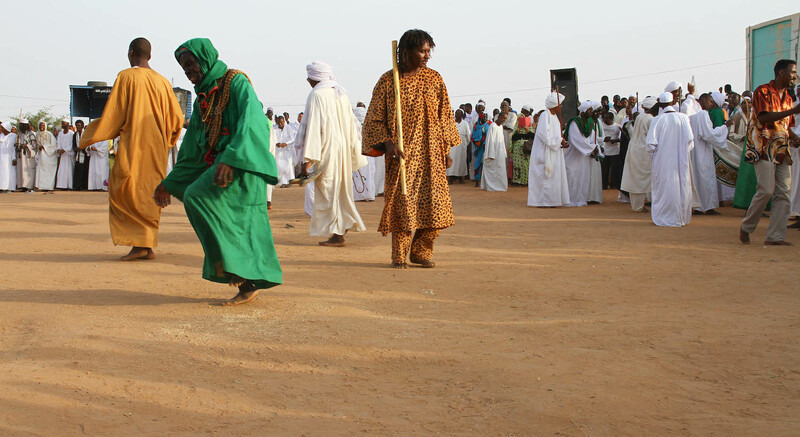 Moments later the Sufi man is dancing with fellow Sufis, all wearing cloths that date back a thousand years, and some!